Ranch Spectacular! Enjoy Historic Roswell lifestyle & gorgeous UPGRADED home! NEW paint, lighting, plumbing, HVAC, molding, ceilings, bookcases, doors, windows, appliances, cabinetry, hardwoods, tile, counter tops, open walls!!! Spacious, bright, pristine inside/brick beautiful outside w/screened porch, deck fenced, level, almost acre PRIVATE lot! Amazing "in-law/teen suite"terrace level, w/full kitchen, two bedrooms & bath, media room! Amenities 5 mins to Brookfield CC or Roswell Rec! Tennis on the street. New listing in popular Riverside! Hardwoods throughout main, large two-story living room with fireplace and separate dining room with coffered-like ceiling. Huge master suite with sitting room and walk-in closet. Full unfinished basement stubbed for bathroom. GORGEOUS Spacious Craftsman on Private Level Lot! WalkUp Sidewalk. Covered Front Entrance. Arched EntryWays. CrownMoulding. Hardwoods. Formal Living. Formal Dining. OPEN EatIn Kitchen w Island, Deep Stained Cabinetry, Granite Counters, Black Appliances, WalkIn Pantry w Shelving & View to FamilyRoom w Mantled Marble FirePlace. Luxury MasterSuite w Balcony. MasterSpa w Tiled SoakingTub, Standing Shower, Double Vanity & WalkIn Closets. Spacious Secondary BedRooms. FencedIn BackYard w Grilling Patio. New Roof 08/2015. Exterior Sealed & Painted 05/2016. WELCOME HOME! 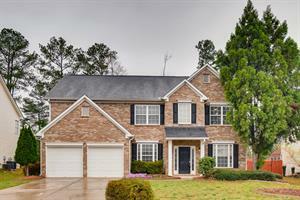 Welcome home to this amazing 3 bed, 2 bath, 1,964 sq ft home in Hiram, GA that features a spacious layout with a wonderful entry way. Amazing living space. Beautiful formal dining area. Lovely kitchen that features lots of cabinet and counter space. Spectacular master suite features huge luxurious tub. Huge secondary rooms with beautiful baths throughout. Be sure to schedule your showing and make this your next home today! This amazing 3 bed, 2 bath, 1,679 sq. ft. home in Bethlehem, GA! Open floor concept with spacious living room with cozy fire place. Lovely gourmet kitchen features lots of cabinets and plenty of counter space. Elegant formal dining room. Master retreat features dual vanities. Huge secondary rooms with beautiful bathrooms throughout. Be sure to schedule your showing and make this your next home today! 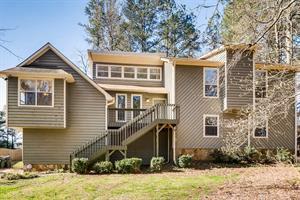 Terrific location in desirable Pinetree Country Club. Minutes to KSU, 75, shopping & dining. This home offers terrific space. Eat-in kitchen has a walk-in pantry. Family room with vaulted ceiling & stone fireplace. Master bedroom is oversized with a large walk-in closet. Secondary bedrooms also have spacious closets. Lower level great room & rec room, 2 bedrooms and a Jack & Jill bath. The lot is just under 1 acre and does have a basketball court as the back of the property. Wonderful 3 bed, 2 bath, 1491 sq. 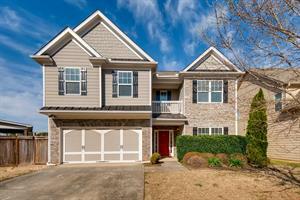 ft. home in Chamblee, GA! Open floor plan. Spacious kitchen features lots of cabinets, plenty of counter space and breakfast area. Cozy living room. Amazing deck in large back yard. Schedule your showing and make this your home today! Stunning two-story home in swim and tennis community. 4 bedrooms and 2 and half bath. Large master suite that features a garden tub and separate shower with a double vanity. Tile floors, gorgeous granite counter tops and beautiful backsplash in the kitchen. Kitchen has an island plus a breakfast area.Trey ceilings in the formal dining room and vaulted ceilings in the master bedroom. Family room with cozy gas starter fireplace. Conveniently located just minutes from I-75, shopping, restaurants, and Piedmont Henry Medical Center. Please contact agent for showings. This 2 story traditional home featuring five bedrooms, 2 full baths and 1 half bath is centrally situated in a cul de sac located in the Woodstream Community. A gourmet kitchen features granite countertops, and island with sink and custom lighting. An elegant master suite is located on the main floor with trey ceilings and a huge master bath. There are vaulted ceilings in the family room with decorative ceiling fan/light fixtures. A breakfast nook off the gourmet kitchen features a beautiful view of the private backyard. Close to schools, shopping, medical and the highway.